I've been practicing taking night-time photos. 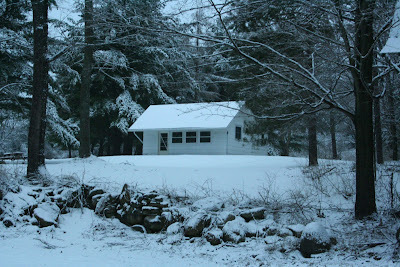 This is the upper cabin at our property in Wayland, NY. I used a tripod and about a 30 second exposure on f/16, I think. I'll have to get more serious about the statistics now that I'm taking this more seriously. Nice photo of a cabin in the woods. I like the stone wall in the foreground of the photo too. Thank you so much. I really appreciate your taking the time to leave such a nice comment.